People love to watch and interact with birds, but not all of them enjoy the array of noises that some species can produce. If you are thinking of adopting a bird but are looking for a quieter type, then consider some of the less vocal species listed below. While no pet bird is going to be completely silent, these species generally prefer to keep their voices down to an acceptable and even pleasant level. By nature birds are quite vocal. In the wild, birds call out to their flock mates and families on a regular basis to alert them of predators, other dangers, or simply to let others know of their whereabouts. Canaries and finches are tiny birds that have even tinier voices, making them great options for bird lovers that want a quieter bird. They are lovely birds and tend to make small beeps throughout the day. This noise can annoy some people, but the volume is very low and their beeps are not unpleasant. As a bonus, their small size helps keep space requirements and cleaning to a minimum. Part of their diet is seed and they do tend to scatter their seed so a good vacuum cleaner is highly recommended. If you like the look of a parrot but prefer a more petite version, then a parakeet or budgie may be the right bird for you. They are true members of the parrot family, as evidenced by their markings and build. They also have the ability to speak, just as their larger relatives do. The main difference, aside from size, is that parakeets cannot physically scream at the volume of a large parrot. 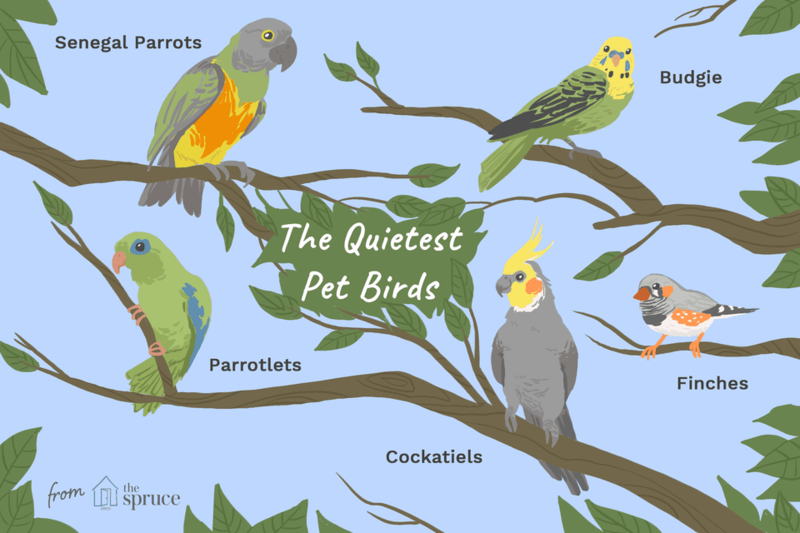 For this reason, they are a good choice for bird owners that want a quieter pet. They can easily learn to talk but their petite voices make them difficult to hear. There are many budgies' needing homes, so think of adopting one from an adoption and education foundation or parrot rescue. Although they are parrots in every sense of the word, tiny parrotlets, like parakeets, lack the ability to scream and screech like most other hookbills. Their soft chatter and chirps are hardly enough to disturb even the most sensitive ears. Parrotlets have the appearance of their larger cousins but they lack the lung power to let out a full raucous scream you might hear from an Amazon or a cockatoo. If you are looking for a pet bird to be a little larger than a finch or parakeet, consider a pet cockatiel. These beautiful birds can be quite vocal but tend to be quieter than many other parrot species. Cockatiels are enormously popular birds that are kept as companion birds and their popularity is well deserved. 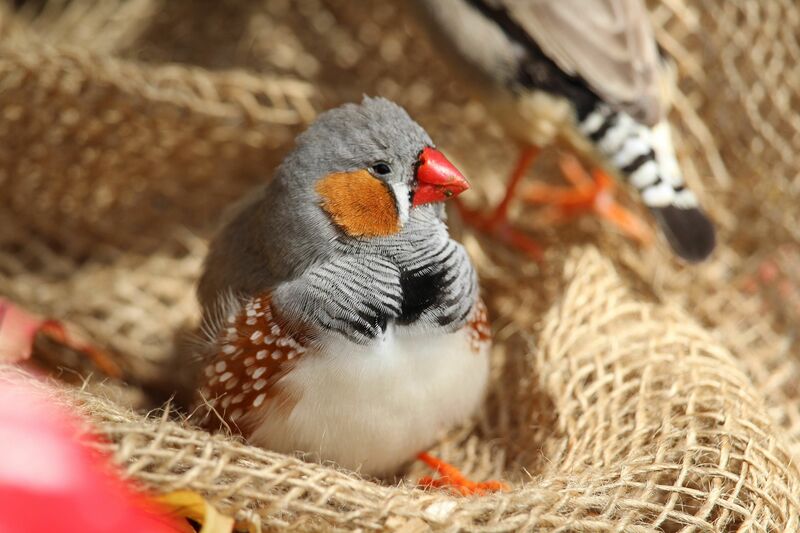 They are fun little birds that are quiet and can be trained to learn behaviors and to talk. They require the same care as their larger cousins as well as the same respect given to the larger birds. At around 10 inches in length, Senegal parrots are medium-sized birds that are known to be one of the quietest parrot species. While they do vocalize and have the ability to talk, they are far less likely to screech and scream than other medium and large sized parrots. They are more prudent with their vocalizations and, for some reason, they don't have the loud calling instinct that many other birds possess. While these birds don't make the raucous sounds many other species do, be assured that no birds are completely quiet. It simply isn't in their nature to be that way. Birds are quite social and with that social nature, vocalizations are simply they way they are made to behave. Can You Keep a Wild Bird as a Pet?